SCHOLARSHIP FUNDING IS AVAILABLE. TO APPLY CLICK HERE. New York Zen Center for Contemplative Care in collaboration with The Garrison Institute present the third semi-annual Buddhist Contemplative Care Symposium to give practitioners tools and insights to provide the most effective palliative and end-of-life care possible. This groundbreaking gathering encourages leading researchers, physicians, spiritual care providers and patient advocates to learn from each other and grow as healers. Participants will share contemplative best practices and experiential teachings, while collectively beginning work toward common standards of practice. Neuroscience research has demonstrated the effectiveness of meditation and mindfulness-based techniques in both patient healing and caregiver self-care. Mindfulness practices are increasingly being explored and used, particularly by palliative and end-of-life care teams. Many institutions with an integrative medicine focus are exploring how to incorporate contemplative techniques into their standard of practice, with the objective of cost-effectively improving both patient and staff outcomes. MEDICAL DOCTORS: This activity has been planned and implemented in accordance with the accreditation requirements of the Medical Society of New Jersey through the joint providership of Atlantic Health System and New York Zen Center for Contemplative Care. Atlantic Health System designates this live educational activity for a maximum of 13.75 AMA PRA Category 1 Credit(s)TM. Physicians should claim credit commensurate with the extent of their participation in the activity. Atlantic Health System is accredited by the Medical Society of New Jersey to provide continuing medical education for physicians. SOCIAL WORKERS: This program is approved via NY State Board Offices for Social Work for 13.75 clinical social work continuing education contact hours. New York Zen Center for Contemplative Care, Inc., SW CPE is recognized by the New York State Education Department’s State Board for Social Work as an approved provider of continuing education for licensed social workers #0192. We are working to provide SCHOLARSHIPS to attend this Symposium. Funding provided, scholarship support will offer 50% off the registration price for a double or triple room. Once scholarship is available, we will provide an application for consideration. 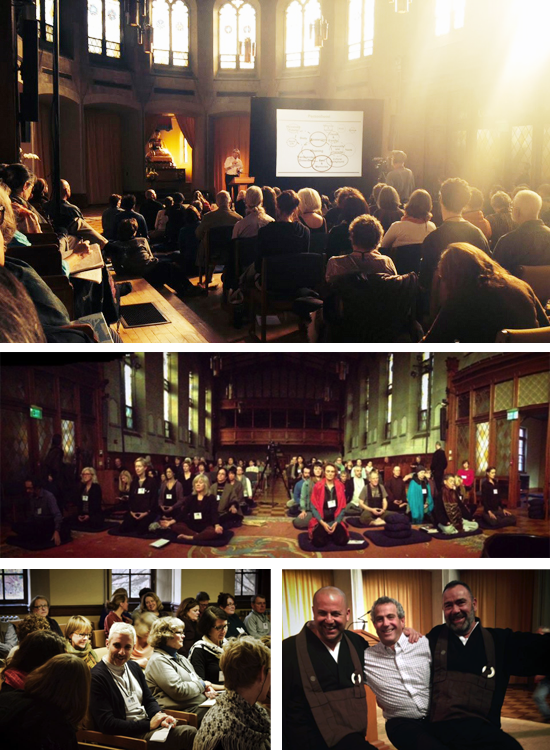 Recognized as true pioneers and leaders in the Buddhist Chaplaincy field, the New York Zen Center for Contemplative Care is creatively transforming pastoral care by being both the first and only Buddhist organization to be fully-accredited by the Association of Clinical Pastoral Education, as an CPE Clinical Chaplaincy Training Center in America. 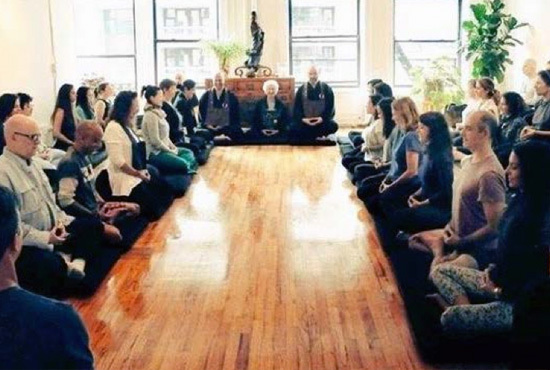 NYZCCC also partners with schools such as New York Theological and Arizona’s Integrative School of Medicine combining Buddhist contemplative practices into the fields of professional caregiving and medical training. NYZCCC focuses on creating dynamic education that is interfaith and experience-based for those seeking to deepen their spiritual, caregiving practice while also offering direct bedside care and counseling to those who are experiencing sickness, death and loss. The Garrison Institute is a not-for-profit, non-sectarian organization exploring the intersection of contemplation and engaged action in the world. Their program initiatives: Contemplation and Education, Transforming Trauma and Transformational Ecology – create rigorous, innovative, contemplative-based tools and approaches to help teachers, caregivers, human service providers, environmentalists and others on the front lines of social and environmental engagement succeed. 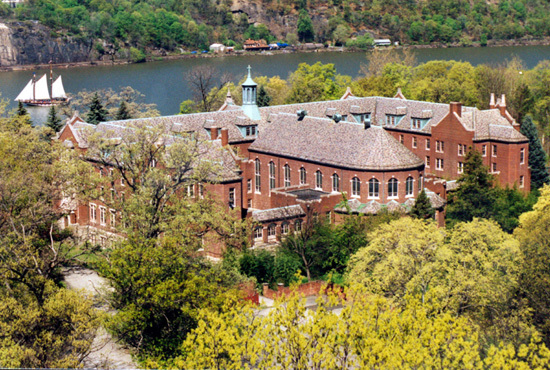 The Garrison Institute is a renovated monastery an hour from Manhattan, offering an authentic contemplative setting alongside the Hudson River. 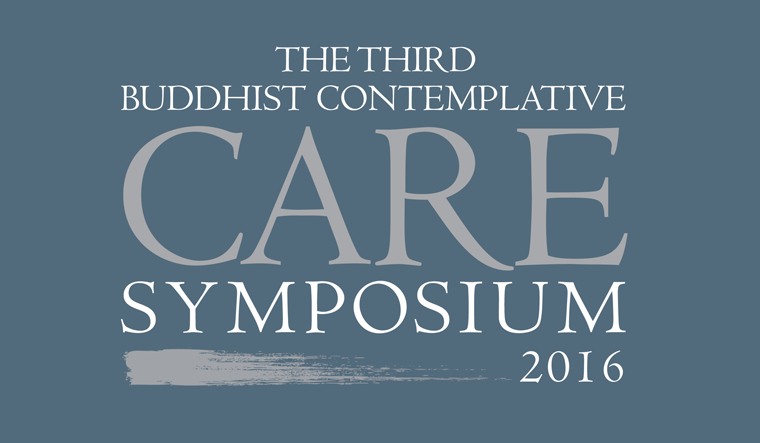 Please register for the 2016 Buddhist Contemplative Care Symposium through the Garrison Institute website. Anyen Rinpoche was born in Amdo,Tibet. His lineage can be traced back directly to the renowned Dzogchen master Patrul Rinpoche, author of Words of My Perfect Teacher. Anyen Rinpoche is a heart son of Tsara Dharmakirti Rinpoche, a renowned master of the Longchen Nyingthig tradition as well as a rime (non-sectarian) master of Tibetan Buddhism. After remaining with his Root Lama for eighteen years, Anyen Rinpoche came to America, where he established the Orgyen Khamdroling Dharma Center in Denver, Colorado. Rinpoche's dharma activity focuses on helping Buddhist practitioners prepare for the moment of death through the Dying with Confidence Program and the Phowa Foundation. He also teachings a traditional "shedra," or intensive Vajrayana study, for westerners at Orgyen Khamdroling. Rita Charon is a general internist and literary scholar at Columbia University who originated the field of narrative medicine. She is founder and Executive Director of the Program in Narrative Medicine at Columbia and Professor of Medicine at CUMC. She completed the MD at Harvard in 1978 and the Ph.D. in English at Columbia in 1999, concentrating on the works of Henry James. Her research investigates narrative medicine training, reflective practice, and health care team effectiveness and is supported by the NIH, the NEH, the Josiah Macy, Jr. Foundation, and several additional private foundations. She lectures and teaches internationally on narrative medicine and is widely published in leading medical and literary journals. She has been awarded a Guggenheim Fellowship and distinctions from clinical and literary societies. She is the author of Narrative Medicine: Honoring the Stories of Illness (Oxford University Press, 2006) and co-author of Principles and Practice of Narrative Medicine, in preparation for Oxford University Press. Judy Lief is a Buddhist teacher who trained under the Tibetan meditation master Ven. Chögyam Trungpa Rinpoche. She has been a teacher and practitioner for over 35 years, and continues to teach throughout the world. She is the author of Making Friends with Death: A Buddhist Guide to Encountering Mortality. Judy had the privilege of working with Florence Wald, a founding mother of the Hospice movement in the United States and former head of the Yale School of Nursing, on several conferences, workshops, and dialogues examining the role of spirituality in the care of the sick and dying. Ms. Lief has been a keynote speaker at the annual International Palliative Care Conference, held in Montreal as well as at the Zen Center for Contemplative Care conference at Garrison. In 2000-2001 Ms Lief served as pastoral counselor for the Maitri Day Health Center (an adult day health center for people with AIDS) in Yonkers, NY. Judy was an active member and chair of the Vermont based organization, the Madison-Deane Initiative, (MDI) which produced the award -winning documentary, Pioneers of Hospice, and has the mission of changing the face of dying through education and advocacy. She served on the board and was a member of the faculty of the Clinical Pastoral Education program at the Fletcher Allen Hospital in Burlington, Vermont. Judy is a founding faculty member of the Courageous Women, Fearless Living Cancer Retreat, held annually at the Shambhala Mountain Center, now in its tenth year. Judy is also a founding member of The Contemplative Alliance, an affiliate of the Global Peace Initiative of Women (GPIW). This organization brings together contemplatives and activists concerned with pressing global issues. Mitchell M. Levy MD is Chief, Division of Critical Care, Pulmonary, and Sleep Medicine, Department of Medicine, The Warren Alpert Medical School of Brown University, where he is Professor of Medicine. He is also Medical Director of the Medical Intensive Care Unit at Rhode Island Hospital, Providence, Rhode Island. Dr. Levy is a founding member (2002) and a member of the Executive Committee of the Surviving Sepsis Campaign, a global initiative to improve the care of patients with severe sepsis. Dr. Levy is Past-President of the Society of Critical Care Medicine (2009). Dr. Levy’s current research interests include biomarkers in sepsis, end-of-life care in the ICU, and knowledge translation. He has authored over 150 peer-reviewed articles and book chapters. He served as Chair of the Robert Wood Johnson Critical Care End-of-Life Work Group from 1998-2005. Dr. Levy is very active in the field of quality and safety. He has worked on several state-wide initiatives on quality, including Rhode Island and New Jersey, and has served on the steering committee for their efforts in sepsis and Palliative care. He led a similar initiative for the New York City Health and Hospital Corporation in their quality initiative in catheter-related bloodstream infection and sepsis. Dr. Mitchell Levy has been a student of the Vidyadhara, the Venerable Chogyam Trungpa, Rinpoche since 1971 and is a student of Sakyong Mipham Rinpoche. In 1978 he was appointed personal physician, Lamen, to Trungpa Rinpoche and served in that capacity until the Vidyadara's death in 1987. He also served as personal physician to His Holiness, the 16th Gyalwa Karmapa. He was appointed an Acharya, or senior teacher, in the Shambhala Buddhist lineage in 2004. He currently teaches Buddhism worldwide. Dr. BJ Miller brings unique compassion to his role as Senior Director and Advocate of Zen Hospice Project. An electrical shock sustained while a Princeton undergraduate nearly cost him his life. He miraculously survived but lost both legs below the knee and half of one arm. By all accounts, BJ has developed an extraordinary sense of presence and understanding that he shares freely with patients, community and the Zen Hospice Project he leads. As executive director of this non-profit organization since 2010, BJ oversees its pioneering integration of social and medical services founded in spirituality. Working from the belief in death as a part of life, he is also actively engaged in cultivating a re-examined dialogue about this universal experience - as much through ZHP’s own human-centered model of care as through exploratory work with the international design firm IDEO, participation in various healthcare policy initiatives, including San Francisco’s Palliative Care Task Force, and through public speaking including the culminating talk at TED2015, all helping to make compassionate end-of-life care available to all. Following undergraduate studies in art history at Princeton, BJ received his MD at University of California San Francisco (UCSF) as a Regents' Scholar and completed his internal medicine residency at Cottage Hospital in Santa Barbara, CA, where he served as chief resident. He also completed a fellowship in Hospice & Palliative Medicine at Harvard Medical School, with clinical duties split between Massachusetts General Hospital and Dana-Farber Cancer Institute. BJ also serves as Assistant Clinical Professor of Medicine at UCSF, and is an attending specialist for Palliative Care Service at UCSF Medical Center and the Symptom Management Service of the UCSF Helen Diller Comprehensive Cancer Center, a groundbreaking outpatient palliative care clinic. Robert (Red) Schiller is Senior Vice President, Clinical Affairs; Chair, Graduate Medical Education; Chair, Alfred and Gail Engelberg Department of Family Medicine at Mount Sinai/Beth Israel. He attended the New York University School of Medicine. He completed his residency in family medicine at Montefiore Medical Center in the Bronx, where he also completed a one-year fellowship in family medicine. He has a professional interest in homeopathy, acupuncture, and other alternative therapies that complement conventional medical care, as well as a strong interest in the integration of alternative medicine into primary care training. Dr. Schiller is the recipient of several awards including the Park-Davis Award for Teaching Medicine. Shiller is know for his leadership and innovation as a physician and administrator, serves on NYZCCC’s Advisory Board, and has worked closely with Koshin and Chodo on the upcoming Symposium as well as on other projects. Dr. Craig D. Blinderman, M.D., is currently the director of the Adult Palliative Medicine Service at Columbia University Medical Center and serves on the advisory board for the New York Zen Center for Contemplative Care. He was previously an attending physician on the Palliative Care Service at the Massachusetts General Hospital and directed the MGH Cancer Pain Clinic. Dr. Binderman received his M.A. in philosophy from Columbia before earning his medical degree from Ben Gurion University in Israel. He completed both a residency in Family Medicine and a fellowship in Hospice and Palliative Medicine at Beth Israel Medical Center in NY. He then went on to complete a medical ethics fellowship at Harvard Medical School. Dr. Blinderman has published articles and chapters on early palliative care in lung cancer patients, medical ethics, existential distress, symptom assessment and quality of life in chronic lung and heart failure patients, as well as pain management in hematology and oncology patients and patients with a history of substance abuse. He is currently the section editor for Case Discussions in the Journal of Palliative Medicine. His academic interests include: decision-making at the end of life, the role of palliative care in public health, medical ethics, and the integration of palliative care in critical care medicine. He also has a strong interest in teaching and developing programs to improve students and residents’ skills in communication and care for the dying. Andrew Grose, M.D. is an orthopaedic trauma surgeon specializing in care of the severely injured patient. He is also a national advocate for patient safety, serving on the American Academy of Orthopaedic Surgeons Patient Safety Committee, and as the leader of the Human Factors and Safety Culture workgroup for the first National Surgical Patient Safety Summit in August 2016. In 2014-15, he was the recipient of and American Hospital Association-National Patient Safety Foundation Comprehensive Patient Safety Leadership Fellowship, and he is currently a student of Human Factors and System Safety at Lunds University. The field of Human Factors is devoted to optimizing human performance and well-being in the workplace. Andrew believes this is best accomplished through a combination of system design and provider mindfulness. Coco Karol is a New York based dancer, teacher, and artist who makes cross-disciplinary performance work. She holds a BFA in Dance from Tisch School of the Arts and an MFA from Hollins University. As a dancer, Karol has had the privilege of working for Misnomer Dance Theater, Cherylyn Lavagnino Dance Company, and Christopher Williams, as well as being a part of projects by Christy O'Harris, Bill Young, Jose Navas, and Steven Petronio. Karol has created work with musicians including Bjork, Ryan Lott (Son Lux), Koh Ohtera, Luna Cholong Kang, Daniel Carter, Minna Rhee Choi, and Ear to Mind collective; and visual artists including photographer Steven Sebring, sculptor Eve Bailey, architect Marcos Zotes, stereoscopic artist Gerald Marks, videographer Azmi Mert Erdem, and designer Louda Larrain. Her work has been shown internationally as well as across New York at Carnegie Hall, Symphony Space, BAX, Ibeam, Spectrum, D.U.M.B.O Under the Bridge Arts Festival, New York Studio Gallery, Galapagos, Death By Audio, and curated by AUNTS. She has taught movement workshops in San Francisco to musicians of the Magik*Magik Orchestra, in Istanbul about movement and social movement, and in Roanoke investigating non-verbal communication and gestures of care. Karol is a dedicated teacher of movement, yoga, and qi gong. Her work is informed by her studies and practice in improvisation, butoh, authentic movement, meditation, and the belief that we move to move, and to be moved. Karol started Red Sole Productions, a small production company for dance-based media. Cristian Zanartu, M.D. is a palliative medicine specialist at Montefiore Einstein Center for Cancer Care—treats patients at all stages of their disease, providing continuous support and care to help relieve their physical and emotional symptoms, while guiding them and their loved ones as they face complex choices and decisions. Dr. Zanartu, a native of Santiago, Chile, earned his undergraduate degree and medical degree with honors from Pontificia Universidad Catolica de Chile. He completed his internal medicine residency (including rotations at Memorial Sloan Kettering Cancer Center) at St. Luke's Roosevelt Hospital in New York City, where he was named Outstanding Senior Resident. He also completed a palliative medicine fellowship at New York's Beth Israel Medical Center and a clerkship in palliative medicine and psychosocial oncology at Harvard Medical School/Brigham and Women's Hospital in Boston, Massachusetts. Dr. Zanartu has also worked as a general practitioner in the palliative care unit at the Sotero del Rio Hospital in Santiago, Chile, where patients with advanced cancer received palliative treatment in the inpatient and outpatient settings and during home visits. He also worked as a volunteer teacher for eight years at the Penanolen Community, one of the most impoverished in Santiago. He is first author and co-author of articles on palliative medicine and infectious diseases published in peer-reviewed journals including the American Journal of Hospital and Palliative Care and has presented research at national medical meetings in Chile. Dr. Zanartu is also an attending physician with the Palliative Care Program of Montefiore Medical Center’s Department of Family and Social Medicine. Jonathan Prescott is a Board Certified Clinical Chaplain and Pastoral Counselor. As a long time ordained student of Zen Master Thich Nhat Hanh, Jonathan’s practice is to support people experiencing illness and end of life, foster effective caregiving and reconnect people with their innate wisdom and compassion. Jonathan provides individual care to hospice patients and their families and offers talks and retreats to help clinicians become openhearted, effective caregivers. In addition to his role as Hospice Spiritual Counselor, Jonathan has served as Chaplain in the hospital and cancer care settings. During Jonathan’s 35-year spiritual practice, he’s utilized his natural warmth and calmness to lead and serve many organizations in the Buddhist, Quaker and non-profit realms, and currently enjoys being a voice of clarity and compassion on medical ethics committees. At home in the San Juan Islands of Washington, Jonathan relishes the peaceful solitude of his small farm. He balances end of life work with a contemplative practice of meditation, retreat and connection to nature. Linda Hochstetler is a social worker and specialist in end of life issues related to illness, death, dying, and loss. She is employed as a palliative care educator and trainer for PalCare Network of York Region. She trains non-medical persons such as hospice volunteers, personal support workers, social workers, and family caregivers who provide support to persons at end of life in private homes, long term care homes, and hospitals. She is known for her enthusiastic and engaging style of presentations that encourages discussion and honest reflection of challenges. She has a private practice at the Village Healing Centre in Roncesvalles Village. She helps individuals and families face their fears of death and help them talk openly about the many choices that one is faced with as illness and aging progresses. She combines clinical social work conversations with navigation of the healthcare system and referrals to appropriate healthcare options. She has provided workshops on the topics of Completing Advance Care Planning, Making Better End of Life Decisions, and Holding the Space for the public and at the Hospice Palliative Care Ontario Conference. In addition to her private practice, she hosts Death Cafes and encourages everyone to talk more openly about their inevitable deaths. She is also a Buddhist Lay Chaplain and meditation teacher. She volunteers extensively, including experiences at the Princess Margaret Cancer Centre, the Kensington (residential) Hospice, and with the Awaken in Toronto meditation group. She has completed studies in Thanatology (the study of death) and is almost finished with her 6-course Certification in Palliative Care from Humber College. Will Kunert is completing his Masters of Divinity at the University of Chicago Divinity School, focusing on Buddhism and chaplaincy. Will started his academic career in astrophysics, measuring gravitational waves from distant black holes. As he neared the completion of his physics degree, he switched directions to focus more on human relationships and worldly issues. Will enrolled in divinity school to pursue a career in hospice chaplaincy. Will has worked as a chaplain at Cook County Jail and Jackson Park hospital on the south side of Chicago, and he has completed a unit of CPE at Rush University Medical Hospital. In his final year at the University of Chicago Will is writing a thesis on the movement toward outcome-oriented chaplaincy, and the modern ‘obsession’ with quantitative measurement in relation to chaplaincy. Will’s life is structured around his love and devotion to Buddhism. He has lived as at Upaya Zen Center, as well as Buddhist monasteries in Vietnam and Thailand. Will aspires toward a career in hospital chaplaincy, seeing it as a mid-way point between monasticism and lay life, and hopes to bring a fresh perspective to the benefits and limits of quantitative measurements of chaplaincy. Fernando Kogen Kawai, MD, FACP is a geriatrician and palliative care physician and works as the Program Director for the Palliative Care Fellowship at NY Presbyterian Queens Hospital. He is also an Assistant Professor of Clinical Medicine at the Weill Medical College of Cornell University . A graduate of the Harvard Geriatrics Fellowship Program in Boston, he completed his hospice and palliative medicine fellowship at Stanford University. He presented much of his work at national meetings of the American Geriatrics Society and the American Academy of Hospice and Palliative Medicine and has been recognized with numerous awards including the New Clinician Educator Award from Harvard Medical School, a Leadership Recognition Award from Stanford University, an award for exceptional humanistic qualities, and a merit of honor for his work with underserved minorities. Fernando lived in Japan , has practiced meditation in Asia and currently he is a Zen student at the NY Zen Center for Contemplative Care. Rev. Steve Aishi Sarian, Sensei, MA, CEAP, ICCS, ICCPS was drawn to Zen in the late '80's on a quest for spiritual intimacy. He began studying with Joko Beck and Nicolee Jikyo McMahon Roshi in early 1991. In 1995 he pursued ordination with Jikyo Roshi as his sole teacher, and she ordained him in 1998. He is a founding member of (TTZC) Three Treasues Zen Community and was the President of the Board of Directors. Aishi completed his studies leading to receiving Transmission from Jikyo Roshi in 2015. Steve is currently the Army Substance Abuse Program Manager, Employee Assistance Program Coordinator, and Prevention Coordinator of Sierra Army Depot, and the past Director of the Navy’s Drug and Alcohol Counselor School . He has been in the substance abuse and addictions field since 1981. Boundaries, burnout, peer assistance, spirituality and death and dying are his top professional interests. Steve is also a 20 yr. Navy veteran, college instructor, Hospice Chaplain, and hospice volunteer Trainer. He is an avid CrossFitter and happily married to his wife Carole, a fellow practitioner, an HHP (Holistic Healthcare Practitioner), Writer and Special Education Teacher, who partners with him in many of the occupational and vocational activities and life’s adventures, including riding their Harley. Together they have 4 children and 6 grandchildren. Dr. Norma Bowe has undergraduate degrees in Nursing and Community Health, a Masters in Health Administration and a Ph.D. in Community Health Policy. She began her career bringing medical care to rural areas in Fluvanna County, Virginia. She has also worked in the ICU, ER, and Hospice assisting with those patients transitioning from life to death and families experiencing loss and bereavement. Later she worked as psychiatric nurse advocate for the mentally ill. Dr. Bowe is a tenured Professor in the College of Education at Kean University in Union N.J. She developed the course curriculum for Death in Perspective which has a three year waiting list and is the subject of the book The Death Class: A True Story About Life, by Erika Hayasaki a former LA Times journalist. In addition to teaching courses in death education, community mental health and public health, she is the author of Perspectives in Community Mental Health published by Kendall Hunt. She has authored and co-authored articles as well as text book chapters in health education. Her dissertation The Relationship between Sense of Coherence, Burden and Depression in Male Caregivers for Women with Breast Cancer won an award. Dr. Bowe has presented at conferences both nationally and internationally. She was a featured speaker at the International Women’s Health Conference in Delhi, India. She has volunteered as a teacher in the NJ prison system, bringing college courses to incarcerated men and women. Six years ago she started a community service and activist group called “Be the Change” fashioned after Gandhi’s famous quote “Be the change you wish to see in the world”. She has organized community services projects across the country; addressing issues of social justice, food justice and human rights. Dr. Martin H. Ehrlich, MD, MPH, Licensed Acupuncturist,Board Certified Internal Medicine Physician, is the Medical Director of The Beth Israel Continuum Center for Health and Healing. A graduate of Columbia University College of Physicians and Surgeons and School of Public Health and The American College of Acupuncture and Chengdu College of Traditional Chinese Medicine; he practices Integrative Medicine, combining the best of Eastern and Western traditions to provide patients with effective modalities to promote healing and well being. He studies, practices and teaches nutrition, yoga, meditation relaxation and breath awareness. Mary Remington, HHP, has been with the organization since its inception in 2007, starting as a student in the Foundations in Buddhist Contemplative Care Training Program. She began managerial support of The Center soon thereafter, while continuing her contemplative training via NYZCCC's Clinical Pastoral Education program. She has worked directly with patients both as an end-of-life volunteer at VNSNY and as a chaplain with Mount Sinai Beth Israel Medical Center. Mary has co-lead grief support groups with Robert Chodo Campbell, and acts as a first contact for those seeking bereavement support at The Center. Mary exercises her contemplative care practice through daily meditation, the creation of art and music, extending care for the community that makes NYZCCC, and through motherhood and family. Diana Calthorpe Rose is Founding President Emerita of the Garrison Institute, a non-profit organization located in Garrison, New York whose mission is to apply the transformative power of contemplation to today's pressing social and environmental concerns, helping build a more compassionate, resilient future. Mrs. Rose is a leader in helping to build a bridge between spirituality and social action, and her career reflects her commitment to creating linkages between individual transformation and social transformation. Reflecting on her own spiritual practices and commitment to social action, she has served on the Boards of several national Buddhist organizations in America. Diana is also President of the Lostand Foundation, a private charitable organization she and her husband founded in 1997. The Lostand Foundation supports a wide variety of organizations involved in social action, land conservation and sustainable development. Diana Rose was educated at UC Berkeley and has a professional background in art, design, event production and gallery management. She is an accomplished dressage rider who trains and competes successfully at the highest levels. She is married to Jonathan F.P. Rose, a real estate developer and planner, and has two daughters. Krishna M. Desai, MD, is a board certified Family Medicine physician and an Assistant Professor of Family Medicine at Columbia University / New York-Presbyterian. Originally from Ohio, she received her medical degree at the University of Cincinnati College of Medicine. Dr. Desai is fellowship trained in both Integrative Medicine through University of Arizona and Faculty Development at University of Pittsburgh Medical Center. She has received several grants that have helped to establish Integrative Medicine curricula at both University of Pittsburgh Medical Center and Columbia University/New York-Presbyterian Hospital. Dr. Desai’s clinical practice is based upon the fundamental philosophy of treating every patient as a whole person while providing excellent, compassionate, and evidence-informed care. She believes there is immense benefit in bridging the mind and body and incorporates this in her own life through regular mediation at the New York Center for Contemplative Care. Dr. Desai is passionate about self-care and believes this translates to a therapeutic physician-patient relationship.